In race one, X-lite pilot Chaz Davies was beaten to 1st place by Jonahan Rea, meaning he had to settle for 2nd position. Race two saw a thrilling last-corner victory for Chaz Davies, preventing Jonathan Rea from wrapping-up the 2015 World Superbike title. On the last lap, Davies dived for the inside under braking and the pair made contact before he powered to the finish line, where the Ducati rider claimed victory by 0.091s! 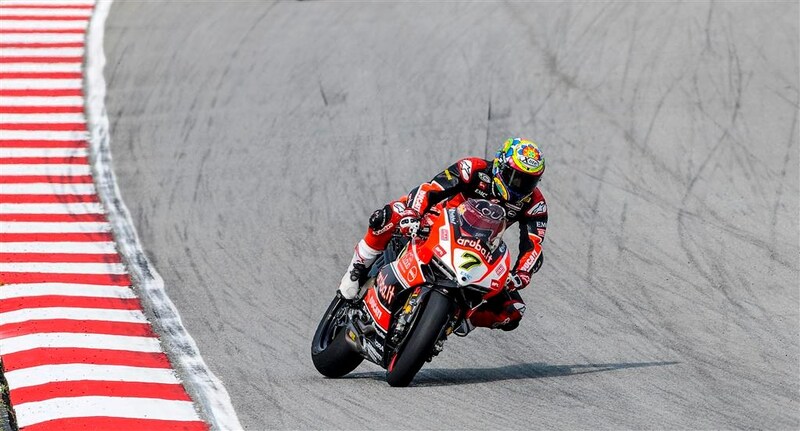 Chaz Davies – winner of three of the last four races – now trails Rea by 144 points, with a maximum of 150 points remaining heading into Jerez on September 20th. In Race one,Five pilot Alex Lowes came 6th and 8th in race two. 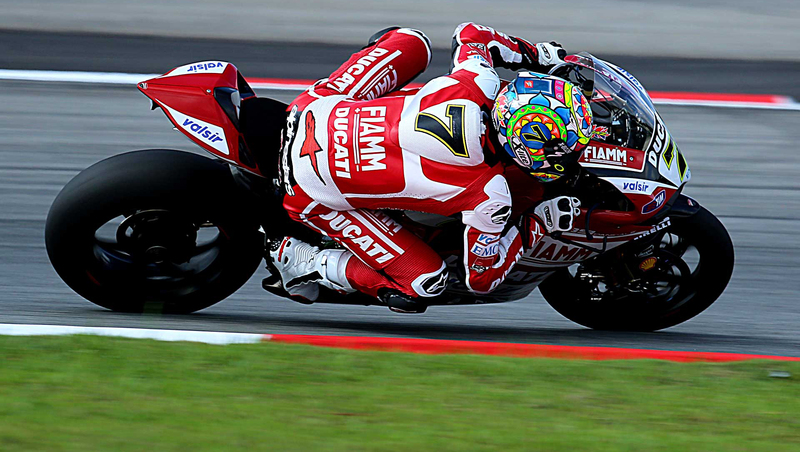 In WSBK Supersport, Jules Cluzel got a 2nd wearing Five-gloves.